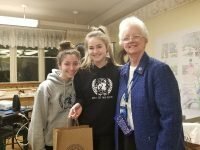 March 15 was the last day for the student members of the SSND delegation and their teachers. 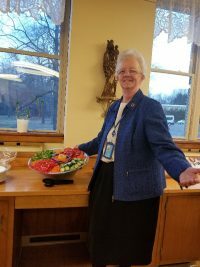 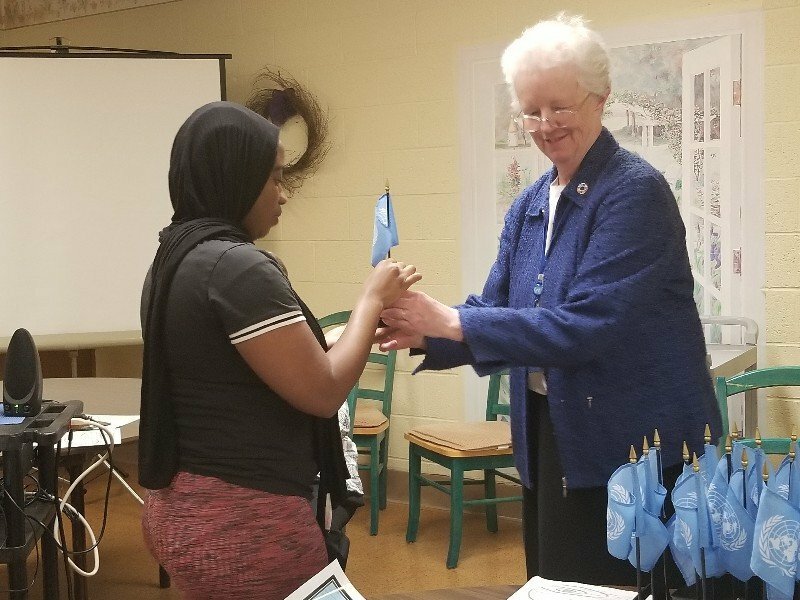 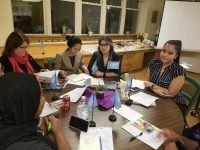 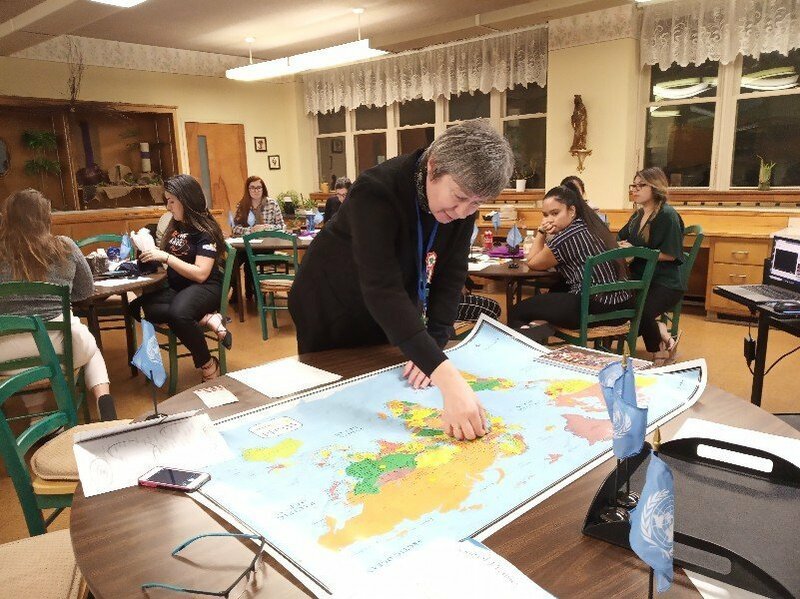 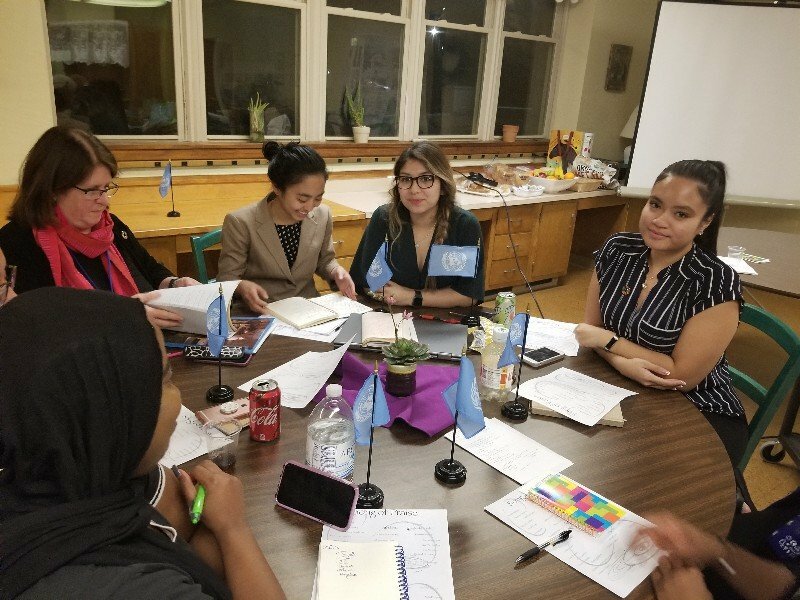 After attending our last CSW63 sessions at the United Nations, we gathered at Carolina Café at Villa Notre Dame (VND) to have pizza, to pray, and to thank God, Sister Eileen, and the students and their teachers for their participation at the CSW63. 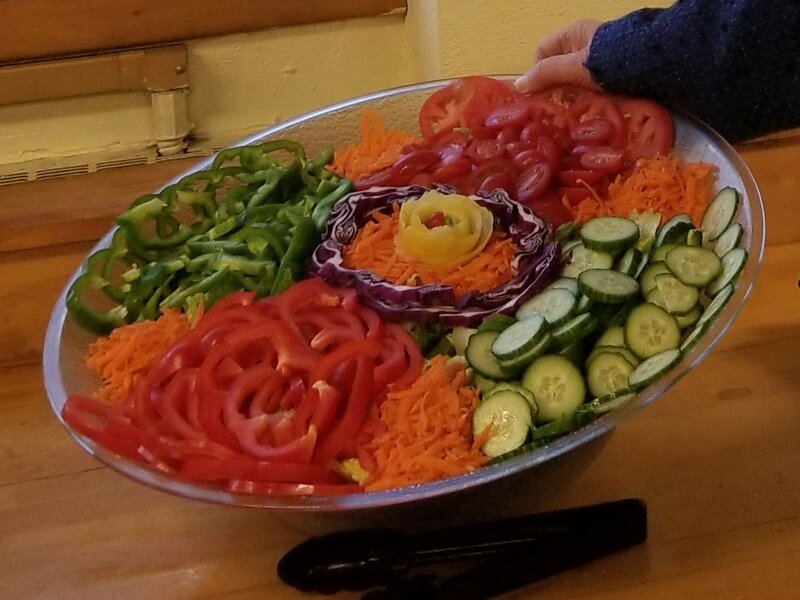 VND staff prepared a colorful and delicious salad for us. 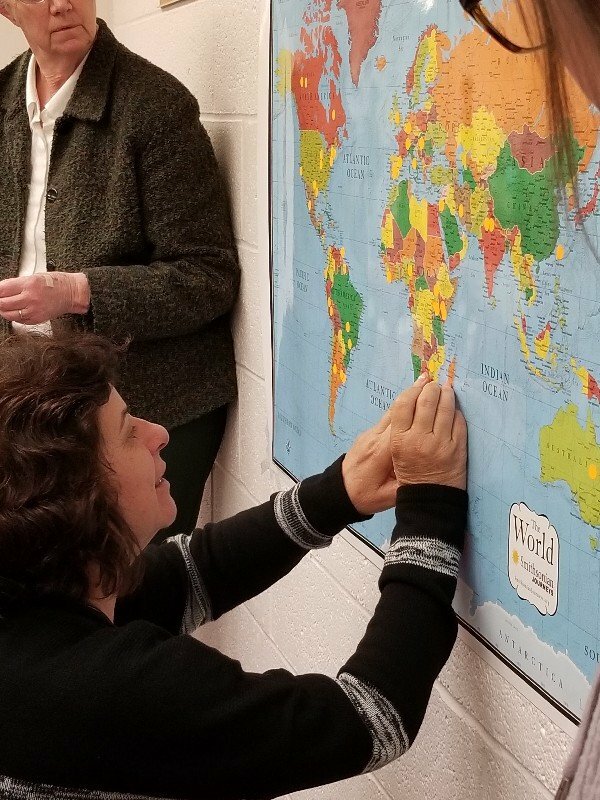 As part of our closing session, we each marked on a map the home country of one person that we met during the conference. 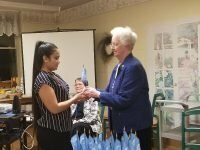 In the evening there was a closing ceremony. 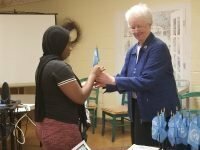 Each one of the participants received a UN flag symbolizing that each of them is a peacemaker wherever they are. 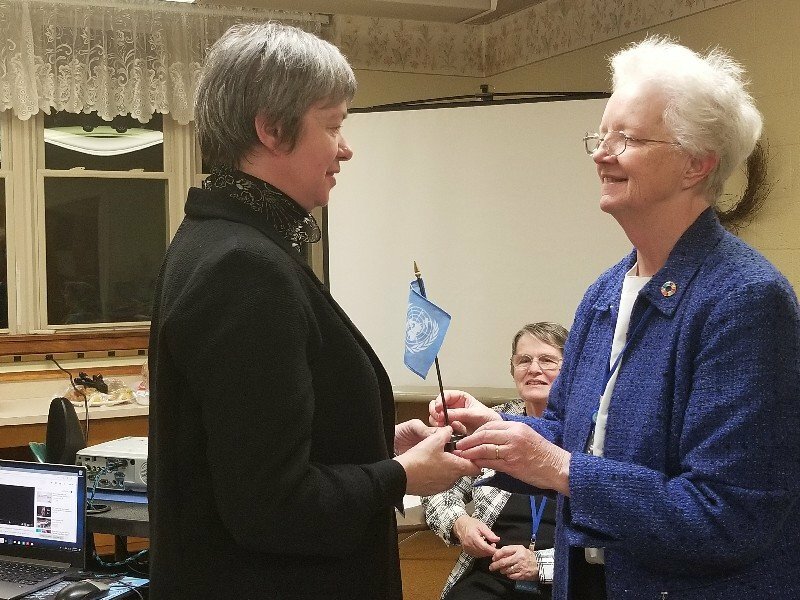 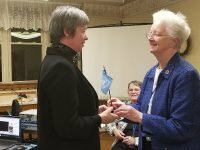 In addition, the students from Hungary, Brazil and the United States presented gifts to Sisters Eileen, Carolyn and Beatriz to express their gratitude for the week that we spent together at the CSW63. 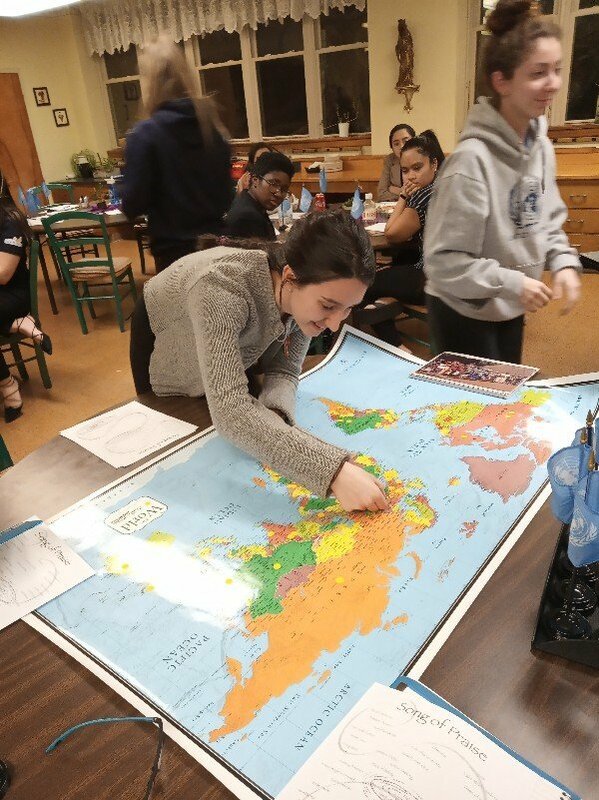 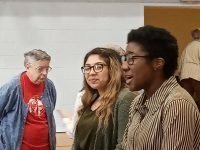 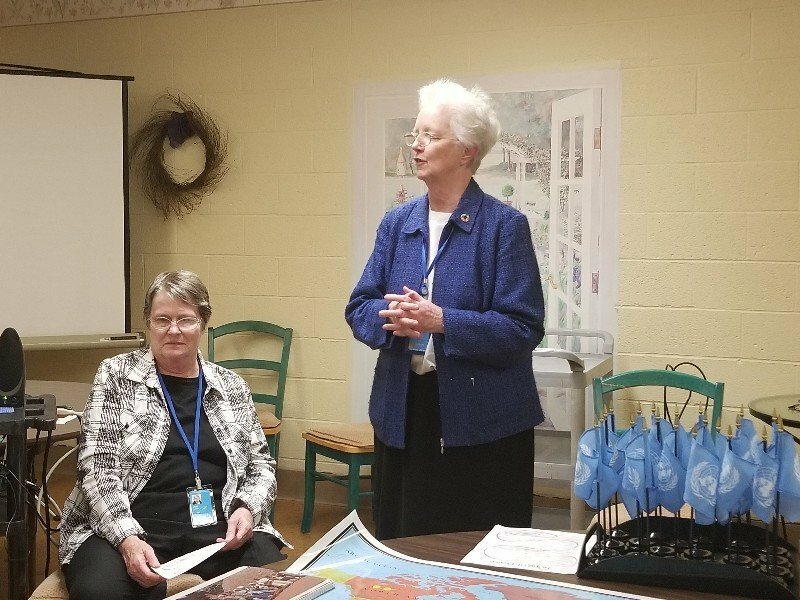 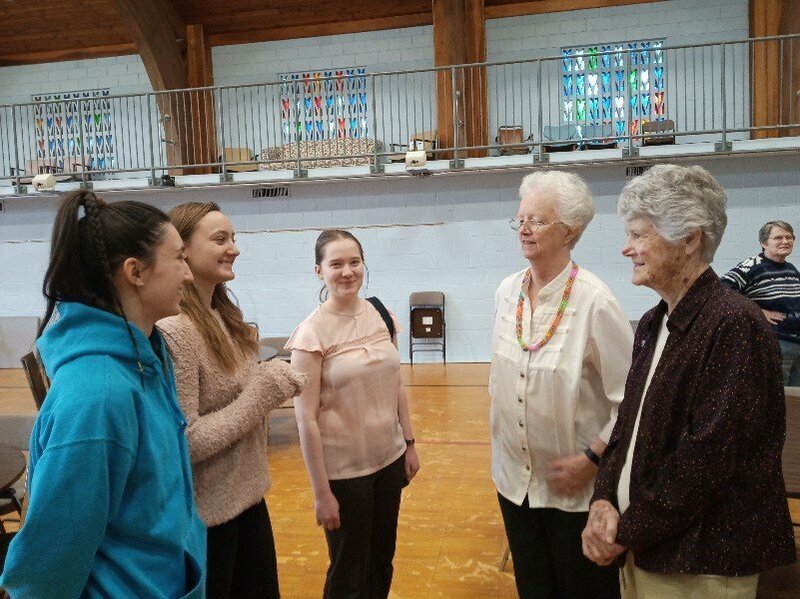 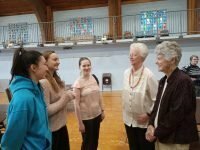 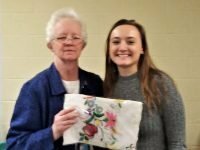 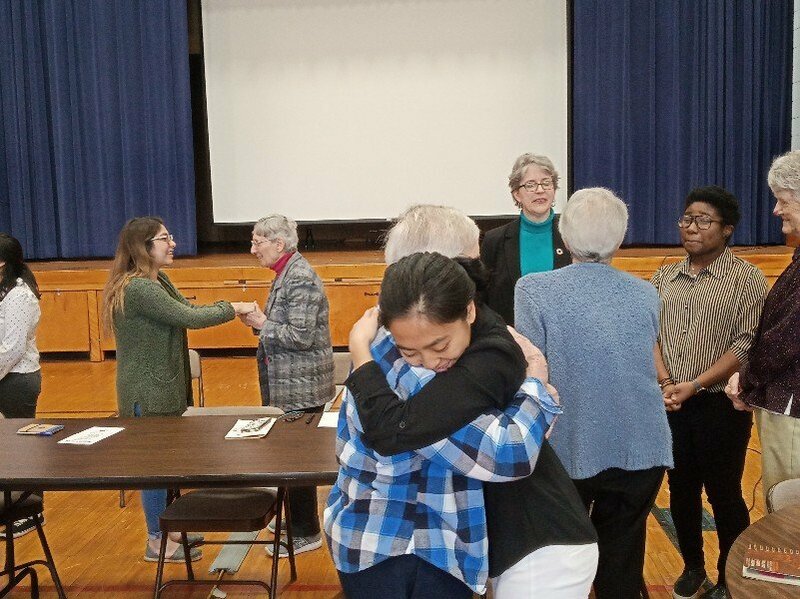 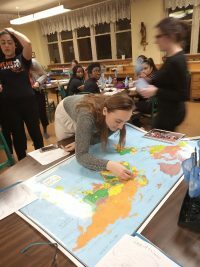 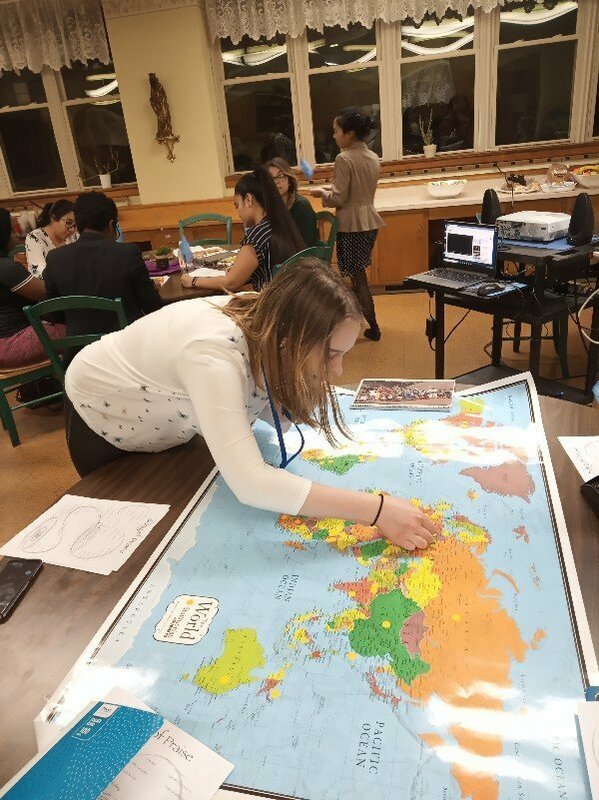 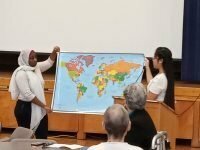 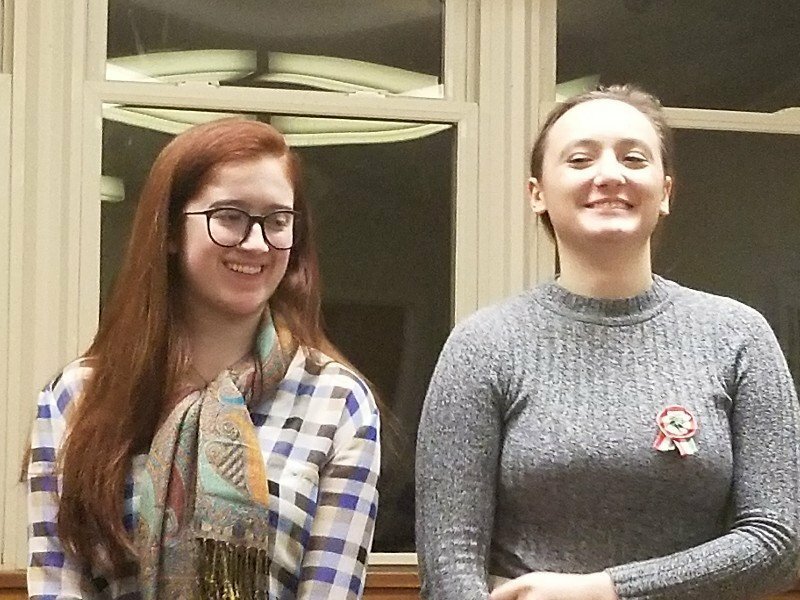 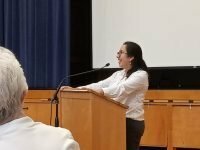 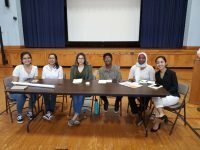 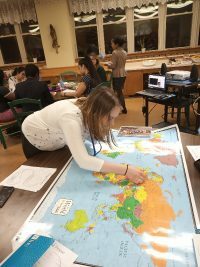 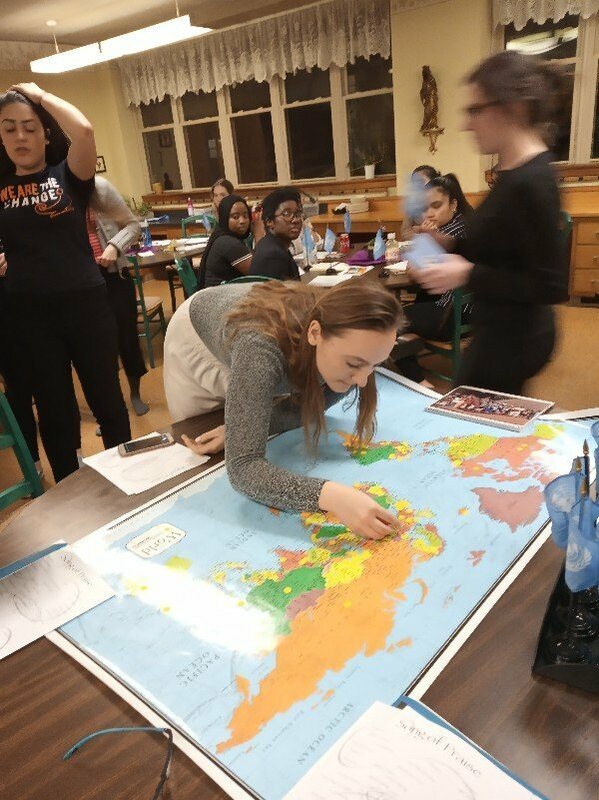 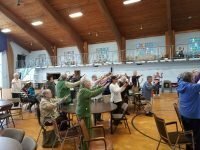 In the morning on Saturday, March 16, the Notre Dame of Maryland University students gave a presentation on their experience of the Commission on the Status of Women (CSW63) in Paschal Hall at Villa Notre Dame, Wilton. 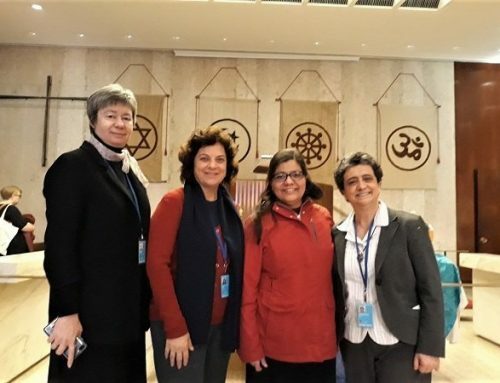 The sisters responded with gratitude for the students’ presentation and for the presence of all who made up the SSND delegation to CSW63 and blessed all with the usual SSND benediction. 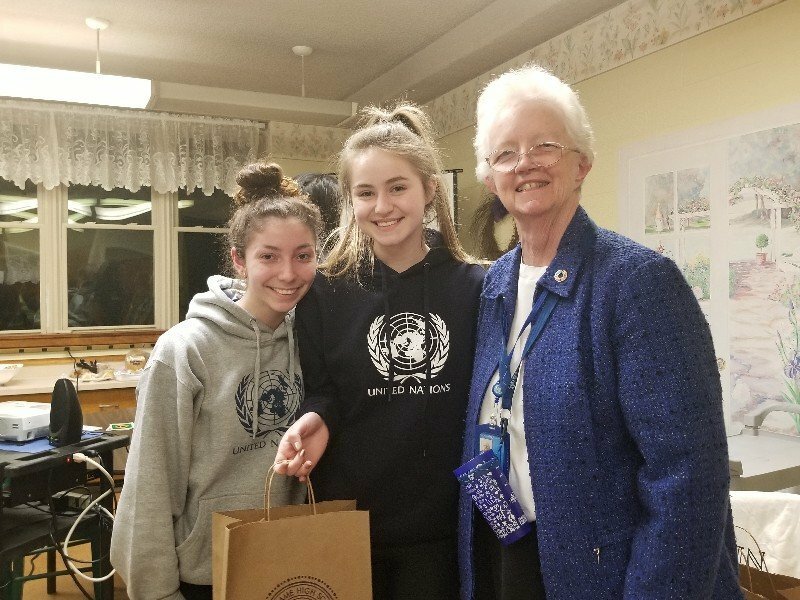 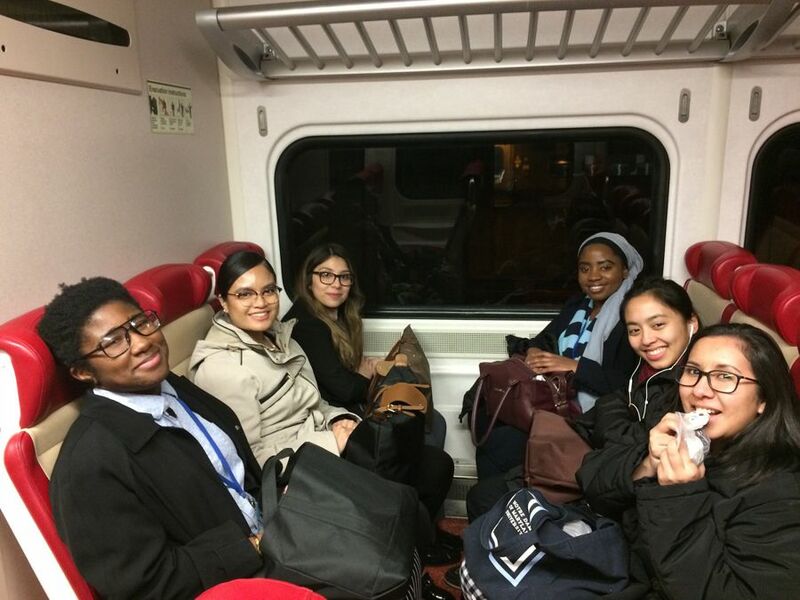 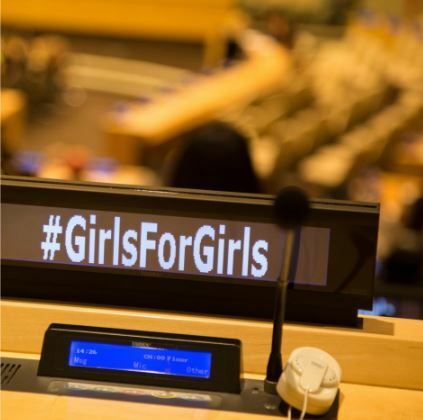 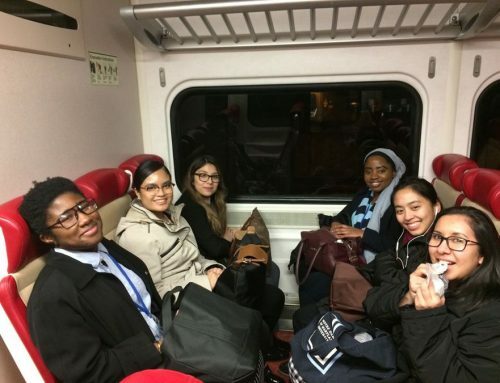 Thank you students and faculty for your contribution to CSW63 on behalf of the congregation! 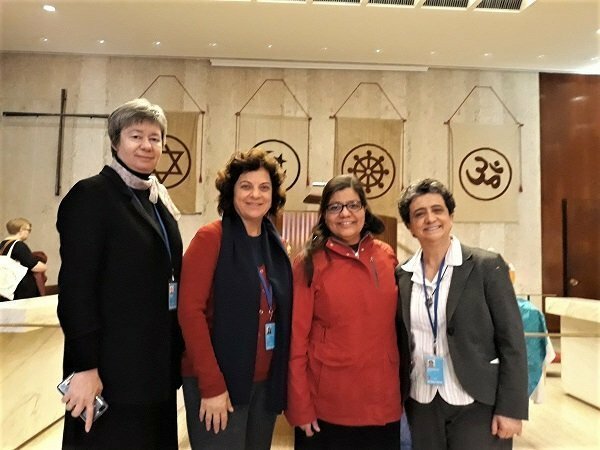 Thank you Sisters Carolyn, Beatriz and Eileen for all your efforts this week to make the presence of our SSND delegation at CSW63 possible! 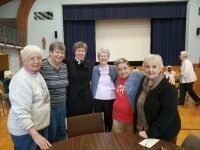 Thank you Sister M. Andrea and Sister Beatriz for the photos. 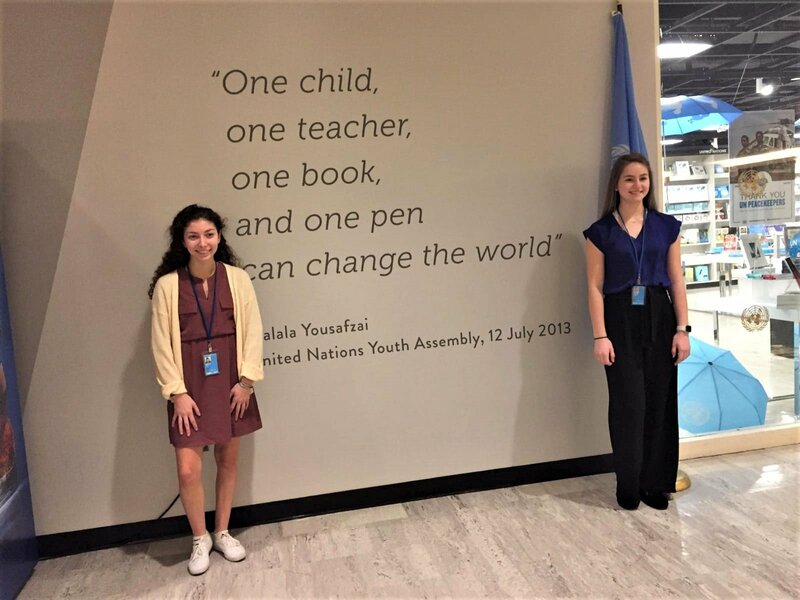 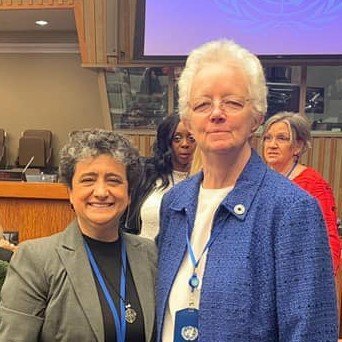 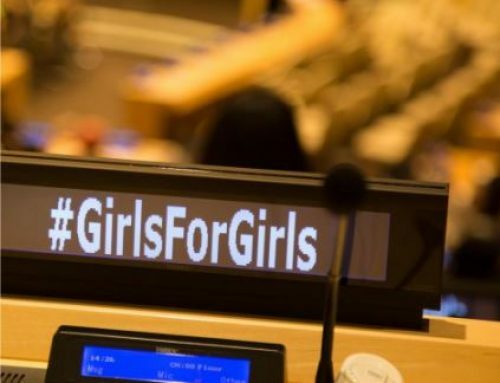 Sisters Eileen and Beatriz will be present for the second week of CSW63 continuing the SSND presence and advocacy on behalf of girls. 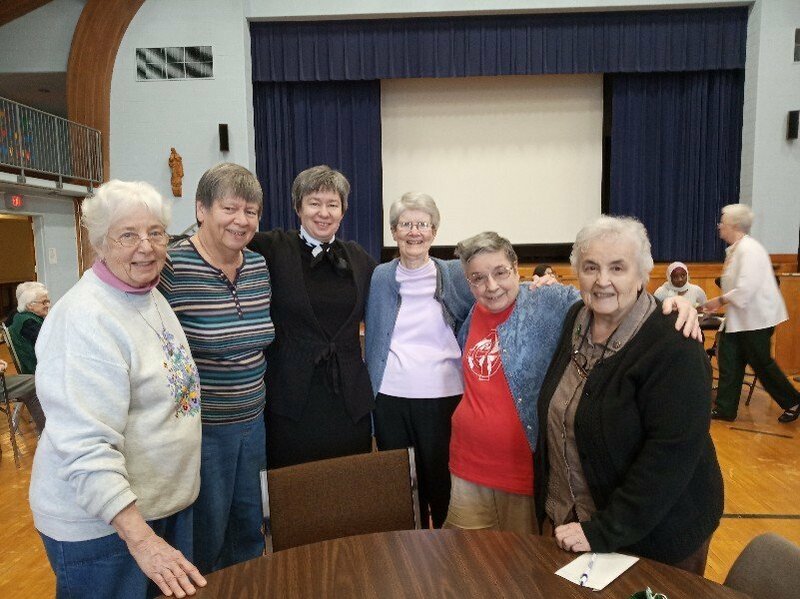 It looks like another wonderful CSW week with a dedicated SSND delegation. 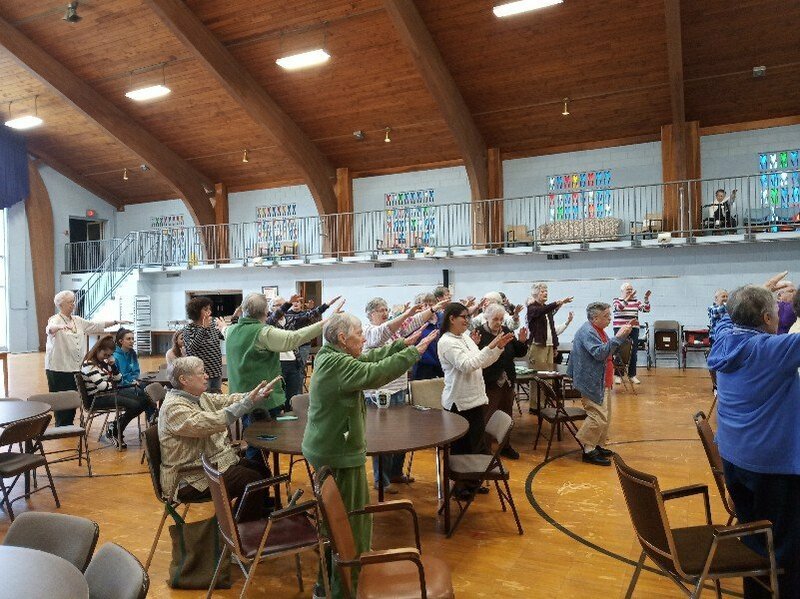 Thank you all for your presence there. 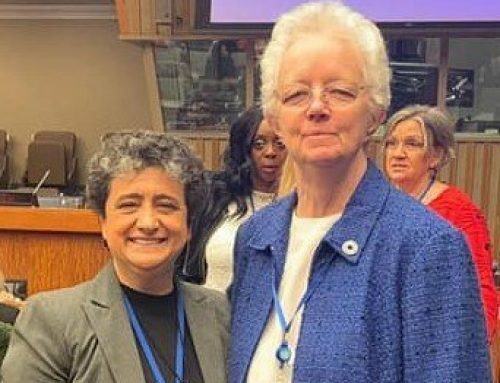 Thank you for the work you did for women around the world. And thank you for the informative website sharing that brought us closer to the experience. May the new connections you made bring about even more connections wherever you go now, building unity worldwide.